This first episode of the new CW super hero series is very origin story heavy. For those who aren’t familiar with the story of Barry Allen aka The Flash, it’s a brilliant, albeit maybe a bit rushed, 45 minute introduction to the whirlwind world of the fastest man alive. Barry Allen, played by Grant Gustin (Glee), is a young forensic scientist from Central City. His mother died under highly mysterious circumstances when he was a boy and his father was charged with her murder. Barry’s life takes the ultimate turn when one night he is struck by a bolt of lightning that leaves him in a coma. However, when he wakes up, he finds he isn’t the same Barry Allen he once was. Avid fans of the comics who are more than familiar with how The Flash came into being will also be kept riveted by an almost uncountable amount of foreshadowing & easter eggs inserted by the writers of the series that would put a Marvel movie to shame. Many of these go about setting up some of the shows potential future villains, without being too forward about it. 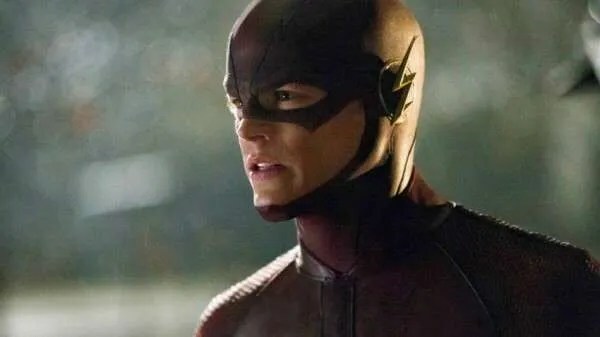 Much like any comic book property, there is an infinite number of story arcs and plot avenues that can be explored across several seasons of The Flash. The show itself keeps very much in line tone and atmosphere wise with The Flash comic books. More light-hearted and humorous, which is a direct contrast in comparison to its highly successful CW sister show, Arrow, based on DC’s Green Arrow/Oliver Queen character. Given this, CW/DC may be looking to go down a more family friendly route with The Flash, which would only increase the potential viewership numbers for the show. They also have a pretty significant fan base already in place thanks to the fact the show exists within the same universe & will cross over regularly with Arrow. This places both shows in a great position to grow and develop an important part of a bigger universe. The effects are also very well done too. Something there was much debate about when the series was first announced. How could they make The Flash’s super speed look good on screen? Well they have. CGI is kept to a minimum, used really only where super powers are being used. When The Flash takes off on a run, it like many other aspects of the show, looks like it was ripped straight out of the panels of the comics, with the famous red streak also making an appearance. Even the first villain we meet, who has control over the weather, you’d forgive yourself for thinking the effects were from a Hollywood blockbuster rather than a TV network series. This Review was written by Robbie Henry.